Chhaperia is the best suppliers of electric radiant heater elements. The innovation and teamwork drive the industry to stand at world-class. The team at Chhaperia combinedly have done the execution so beautifully that it has raised our standards. From heating elements to radiant systems, we have stepped-in in producing all kinds of heating systems and elements. 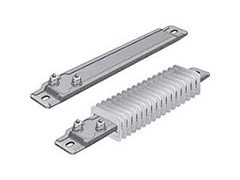 Also, we replace damaged electric radiant heater elements with new ones which are of high quality. From reinstallation to delivering the products, Chhaperia is at the forefront. Element style or shape describes the radiant elements’ configuration. A few come in straight, a few in U-Shaped, and a few in a hairpin configuration. After analyzing the outputs, AC voltage, and power requirements, a radiant heater is chosen. The materials in radiant heater differ in terms of special features, termination options, and sleeve materials. Powered by electricity, these are installed anywhere in the home. The type of electric radiant heater elements decides the heating factor within the room. According to the need of an individual, these are defined and installed at your place.